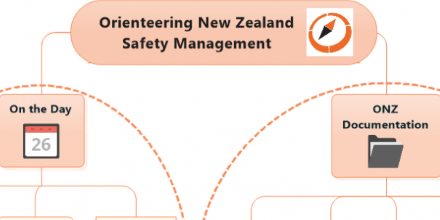 Each year Orienteering NZ Junior Camp is held, with this rotating through a number of venues/clubs. The camp is usually held in December and there is a lot of demand to be able to attend the camp. Coaches range from people who have usually either competed at JWOC or WOC and there are a number of skills and exercises that are run through during the week, with the culmination being the camp champs on the last day. But coaching and training are only two areas of the camp, with the camp being a great opportunity to socialise and meet a number of people from around New Zealand. Applications are normally called for, with applications made for the camp a number of months in advance. Be sure to look out for notifications of this. 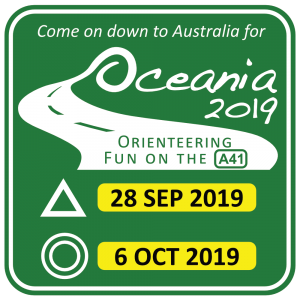 Each two years the Oceania Championships are held. When this event takes place the opportunity to have an Australia-New Zealand Challenge takes place (“ANZ Challenge”). The ANZ Challenge traditionally was held just over the Long distance and Relay events, however it has now extended through to the Sprint distance and Middle distance events. The youngest age-grade for the ANZ Challenge team is Men’s and Women’s less than 16 years old (M16, W16). There is a team for Men’s and Women’s less than 18 years old (M18, W18) and Men’s and Women’s less than 20 years old (M20, W20). Each age grade has a team of 3 selected, with all 3 participating in the relay. Generally when the Oceania Championships are held in New Zealand, then selectors call for nominations before selections are made. When the Oceania Championships are held in Australia selections are often made based on the entry list by a particular date. The D Squad is made up of individuals from the late stages of school through to those who are in their final year as a Junior. Often a camp is held over summer for the D Squad, where everyone can get together and go orienteering and running somewhere that they do not usually go to. The camp is a great opportunity to get to know one another a lot better and to build friendships that will last a lifetime. The D Squad is a great springboard through to JWOC. Each year the Junior World Orienteering Championships (JWOC) are held in the middle of the year and generally these are held in Europe. Each nation is able to send a team of up to 6 males and 6 females. The event is made up of 5 main events, a straight final for both the Sprint and the Long distance, but a qualification and then final for the Middle distance. On top of this there is a 3-person relay, where each nation can have two teams compete but only the best placed team counts in the official results. In 2006 Hanny Allston, from Australia, became the first non-European to medal at JWOC, winning the Long distance event. In 2012 Matt Ogden from New Zealand not only managed to medal, but Matt won the Middle distance event. Following this success in 2013, Tim Robertson managed to medal, obtaining bronze in the Sprint distance. JWOC trials are generally held between January and March each year.